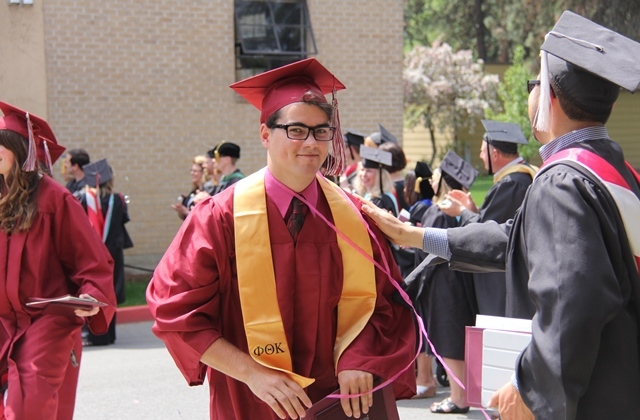 Pictured is NIC alumni Duncan Menzies at NIC’s 2014 graduation. The public is invited to hear North Idaho College alumni Duncan Menzies presenting his lecture recital “Debussy’s Fête Galante with the Symbolists” Friday, April 28, at 11 a.m. in Boswell Hall Room 102. Menzies recently came back to Coeur d’Alene after spending time in France as part of his research on French language and Art Song. He received a University of Idaho Undergraduate Research Grant to help him in his travel and subsequent research. This lecture recital is in anticipation of his presentation at the University of Moscow Lionel Hampton School of Music. The lecture recital is free and open to everyone.